Revisiting a portion of the second article in this series, Revival Before the Fall, King Hezekiah was a descendant of the House of David and reigned over Judah for 29 years from 716 to 687 BC. His father, King Ahaz, had formed a protective alliance with the Assyrians and even brought the worship of their gods into the Temple (see His reign is described in 2 Kings 16; Isaiah 7-9; and 2 Chronicles 28 for details). Hezekiah served as co-regent with his father from 729 BC to 716 BC beginning at the age of twelve. When Ahaz died in 716 BC Hezekiah assumed his role as king and spent much of his reign reversing what his father put into place. Cutaway showing how Hezekiah’s Tunnel brought fresh water from the Gihon Spring inside the walls of Jerusalem, the City of David. Hezekiah, unlike his father, served Yahweh faithfully and led Judah to a number of religious reforms that set “the service of the house of the Lord … in order (2 Chronicles 29:35). Politically speaking Hezekiah expanded Judah’s borders, formed an alliance with Egypt, built a Broad Wall to further protect Jerusalem, and successfully constructed an underground water tunnel to the Gihon Spring outside the walls of Jerusalem to provide water at a new pool (later called the Pool of Siloam where in John 9 Jesus sent “a man blind from birth” in order to complete his healing) inside the walls of Jerusalem in the event that Jerusalem was under siege and the gates closed. The tunnel was a marvelous engineering achievement, prepared with the knowledge that the Assyrians would eventually attack Jerusalem. It is this latter accomplishment, Hezekiah’s Tunnel, that is the inspiration for this article. 2 Kings 20:20 (NIV) – As for the other events of Hezekiah’s reign, all his achievements and how he made the pool and the tunnel by which he brought water into the city, are they not written in the book of the annals of the kings of Judah? 2 Chronicles 32:30 – This same Hezekiah closed the upper outlet of the waters of Gihon and directed them down to the west side of the city of David. And Hezekiah prospered in all his works. Isaiah 22:8-11 – 8 He has taken away the covering of Judah. In that day you looked to the weapons of the House of the Forest, 9 and you saw that the breaches of the city of David were many. You collected the waters of the lower pool, 10 and you counted the houses of Jerusalem, and you broke down the houses to fortify the wall. 11 You made a reservoir between the two walls for the water of the old pool. But you did not look to Him who did it, or see Him who planned it long ago. “Beginning in the 8th century B.C. the kingdoms of Judah and Israel were continuously threatened by the Neo-Assyrian Empire. Assyrian kings came to Canaan to collect taxes and to intimidate the local rulers. In 722 B.C. Samaria, the capital of Israel was destroyed (2 Kings 17:6), and those Israelites that could, fled toward Jerusalem. Upon becoming king of Judah in 715 B.c. Hezekiah did his best to prepare Jerusalem for the eventual attack by the Assyrians. His most lasting project involved water. Rain in Judah usually comes only in the winter. Thus, Judahites built their cities near perennial springs, and in Jerusalem the main water source was the Gihon spring (1 Kings 1:33, 38). Like most springs, the Gihon flowed in the valley, while the city sat on the hill above. Thus the spring that served Jerusalem water was then, at the foot of the hill outside the walls of the city. That location would be a problem if an enemy army surrounded the city. Hezekiah camouflaged the spring and ordered that a tunnel be carved into the hillside to bring water under the city. 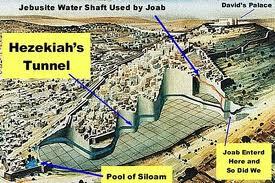 Shafts were then dug down to the flowing water in the tunnel, which when finished was 1,750 feet long and emptied into the Pool of Siloam (2 Chronicles 32:2-4, 30). A dedication inscription was discovered in A.D. 1880 near the southern exit of the tunnel. Called the Siloam inscription, it describes the 8-month effort of two teams of diggers working toward each other from opposite ends of the tunnel. As the workmen came close together they could hear the other team, and they dug, according to the inscription, “pickaxe against pickaxe” until the water flowed from the spring to the reservoir. King Hezekiah loved God with all of his heart and is remembered as a “good king” of Judah even today. But he made a huge mistake that many leaders still make today. The tunnel, the broad wall and other man-made fortifications and plans were not sufficient to protect Jerusalem from the wrath of their enemies. Why not? Because these were man’s solutions, not God’s solutions! Hezekiah’s Tunnel. The tunnel height varied from 5 feet at the entrance to 16 feet inside the gates of Jerusalem with an average width of 23-26 inches. 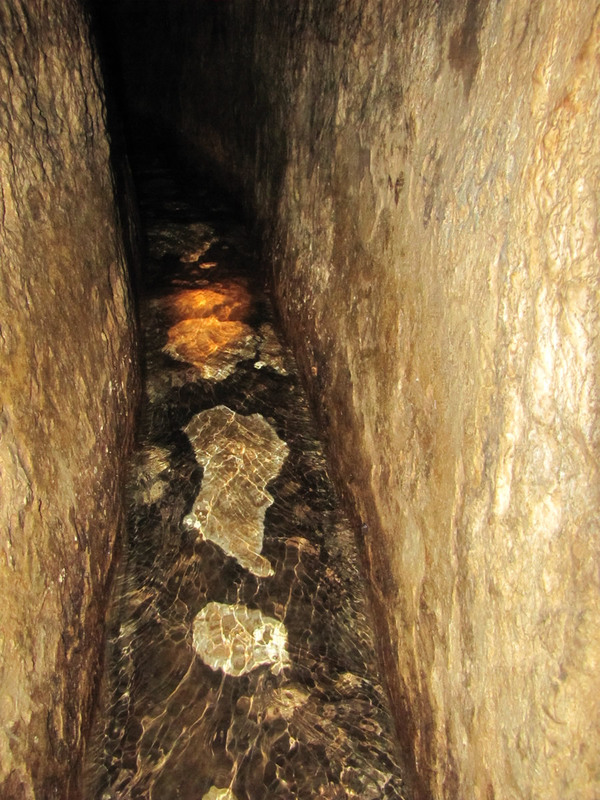 Water still flows through the tunnel today and is an often visited site by tourists to the Holy Land. Was there really anything wrong with Hezekiah’s plan to construct a water tunnel to protect Jerusalem in the event of an attack? Logically speaking, the answer is “No!” The tunnel and the protection of the water supply for Jerusalem was a wise move on Hezekiah’s part. After all, without access to a continuous water supply, Jerusalem would ultimately fall to an enemy attack. So what was wrong with constructing the tunnel? Could it be that their faith was placed in solutions that they fashioned themselves rather than in God? God’s solutions don’t always follow man’s logic patterns. Was it logical that God, without any help from man, brought about the defeat and death of Sennacherib’s entire 185,000 man army the night before they were poised to attack and destroy Jerusalem? Most certainly not! It was Almighty God that brought that about totally on His own. The Bible clearly teaches that God provides for and protects His own. God never fails! Gods plans are always right! God’s plans always work! He sent Jesus to save us from our sins! He gave the Holy Spirit to believers to abide in us and act on our behalf in accordance with God’s will. ALL that He requires of us once we accept Jesus is that we live in accordance with His revealed Word as found in the Bible. Living a life depending on self and without accepting Jesus as Lord and Savior is opposed to God’s will. So the lesson of this article is that we should live our life in accordance with the right plan, God’s Plan! Successful Execution of the Wrong Plan, our plan, is the wrong plan! Allowing God to control the execution of the right plan, His plan, is the only plan! 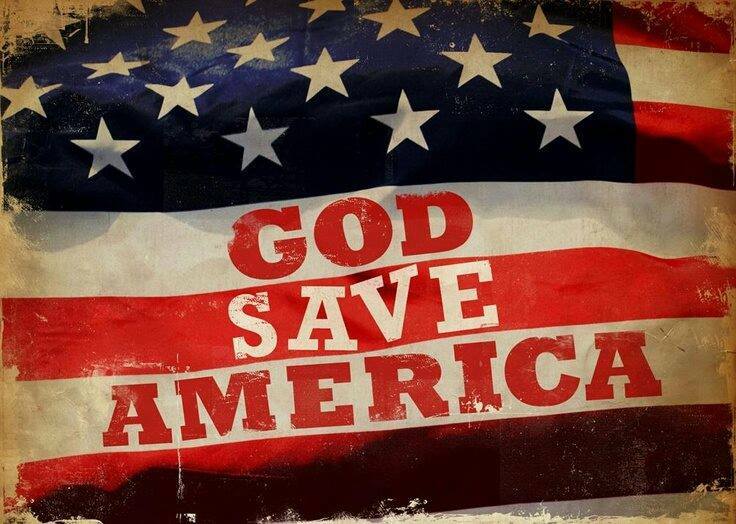 Our twenty-first century U.S. political leaders are much like the political leaders of Israel and Judah prior to and during their fall to the Assyrians and Babylonians. Instead of putting their faith in God, the Creator and Ruler of ALL, they make their own plans, put their faith in other gods, and assume that they can legislate solutions … solutions through unholy political alliances, spending enormous funds on wasteful projects, providing endless foreign aid, constructing offensive and defensive weapons, developing advanced technological surveillance solutions such as drones, satellites, computers, etc., etc., etc. All of man’s plans and solutions combined will never equal just one of the Creator’s solutions. No one, no thing, nothing at all can match His plans. He is the one and only Almighty God! Isaiah’s warning to Judah and Jerusalem in Isaiah 22:14 rings in my ears! “Surely for this iniquity there will be no atonement for you …” Are our leaders listening? I don’t think so! 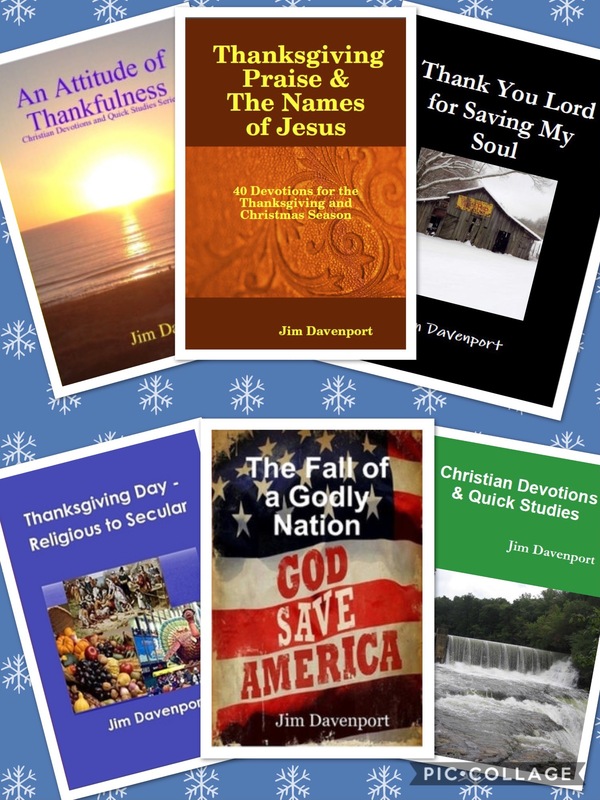 You might want to review another of my articles on a related subject, If You Want to Hear God Laugh, Tell Him You Have a Plan. The Chronological Study Bible. 2008 by Thomas Nelson, Inc., p 663. This entry was posted in Bible Studies, Christian Devotions, Southern Gospel Music and tagged ahaz, assyrian empire, atonement, Awesome, babylonia, Bible, bible studies, broad wall, Christ, Christian, christian devotions, Christian living, Chronicles, Consequences of sin, doing what is right, eternity, evil, God, God Never Fails, God Save America, good, hezekiah, hezekiah's tunnel, high places, Holy Spirit, house of david, Isaiah, Israel, Jesus, Judah, Kingdom of Judah, Lord, neo-assyrian empire, New King James Version, northern kingdom, Old Testament, passover, rejecting God's law, revival, right, right choices, salvation, sennacherib, Sin, Southern Gospel Music, southern kingdom, Temple, tunnel, United States, woe, woe to those who call evil good. Bookmark the permalink.